Earn A Massive 50% Commission On Every Sale You Make Of The German Shepherd Handbook! Our affiliate program is run by a 3rd party, independent processor (ClickBank) for accuracy and verification. ClickBank is one of the web's largest affiliate program processors and is also free to join. If you have not signed up yet, sign up for free with ClickBank to get your affiliate identity (nickname). Just complete the simple form on their website. The above like will take you to HOPLINK SHIELD to create your manual Hoplink. Then click the Encode-button to generate your hoplink. Send visitors to your affiliate link with Bing Ads and Facebook. Put up links and banners on your German Shepherd website. Write a review of the book and post it on your blog. 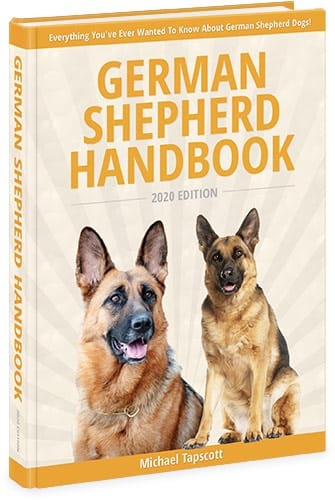 Add your affiliate link to your signature on German Shepherd forums. Please download the images and host on your own server, hotlinking will not work.